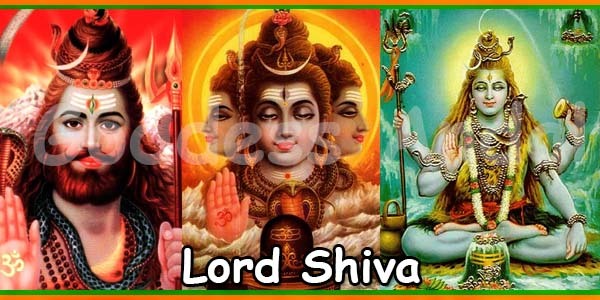 Shiva, which is like the triad of weapons, and which destroys the sins of three lifetimes. 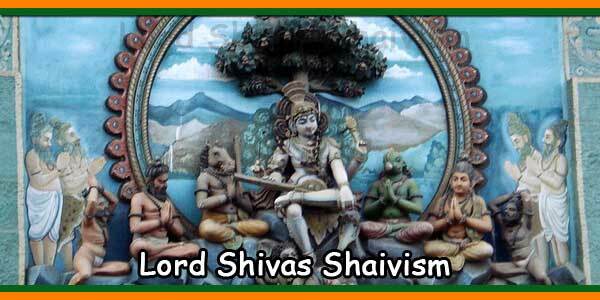 I offer one bilva leaf to Lord Shiva in worship, which has three branches, does not have holes, is tender and auspicious. 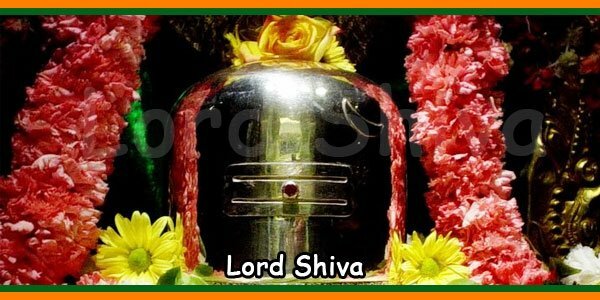 I offer one bilva leaf to Lord Shiva, for if a whole leaf is offered to the Lord of Nandi, we get cleansed of all our sins. 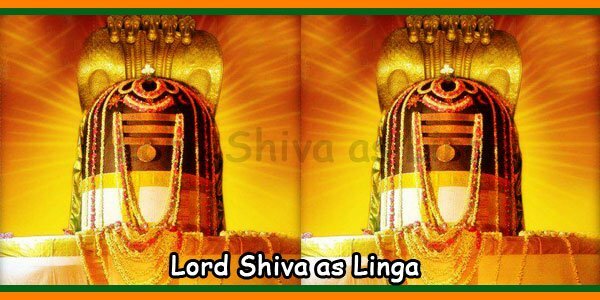 I offer one bilva leaf to Lord Shiva, for it is equivalent to offering a saligrama (sacred stone) to a brahmin, or the great blessing obtained by performing Soma Yaga. 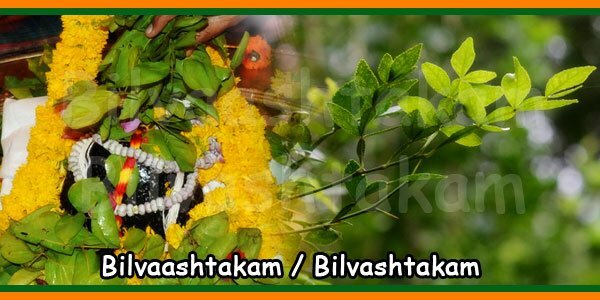 I offer one bilva leaf to Lord Shiva, for it is equivalent to giving a Bilva tree which was born from the body of Lakshmi, and which is very dear to the Lord Shiva. I offer one bilva leaf to Lord Shiva. Seeing and touching a Bilva tree washes away one’s very great sins. 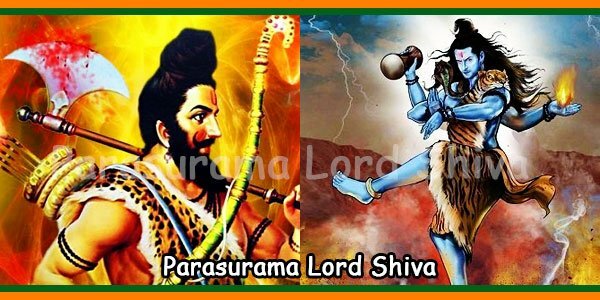 I offer one bilva leaf to Lord Shiva, after living in the city of Kasi, seeing Kala Bhairava, and having had darshan of Madhava in Prayag. 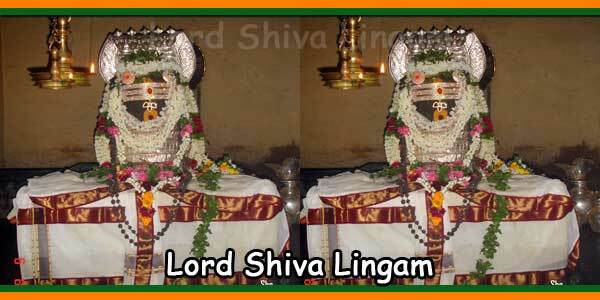 I offer one bilva leaf to Lord Shiva. As Brahma He resides at its base, as Vishnu He lives in the middle, and as Shiva He lives at the top. 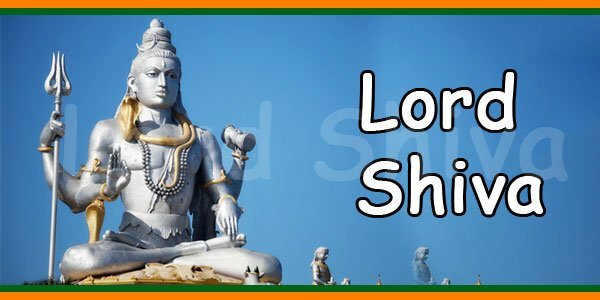 Reading of these eight verses on bilva in the presence of Lord Shiva saves one from all sins, and in the end takes one to the world of Shiva. I can see two different Bilvastakam in online. At present we have it in english only. If need only in tamil please wait and we send it ASAP. English – we have send it to your mail pls check.